As the years pass and business grows, so does Ingenious! 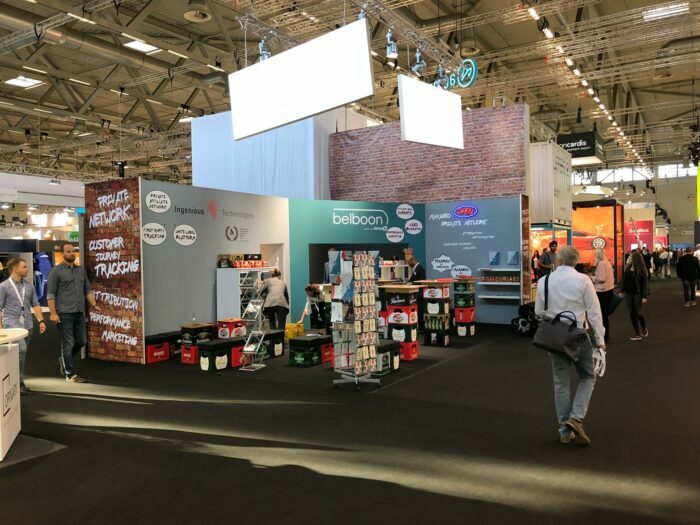 This year Ingenious Technologies had the pleasure of sharing a booth with Belboon, where together we gave visitors a real taste of Berlin at DMEXCO 2018. Our “Späti booth”, inspired by the famous “Späti Läden” in Berlin (small shops open all night long, where you can buy beer, candy and many more treasures), was a big draw at the convention! 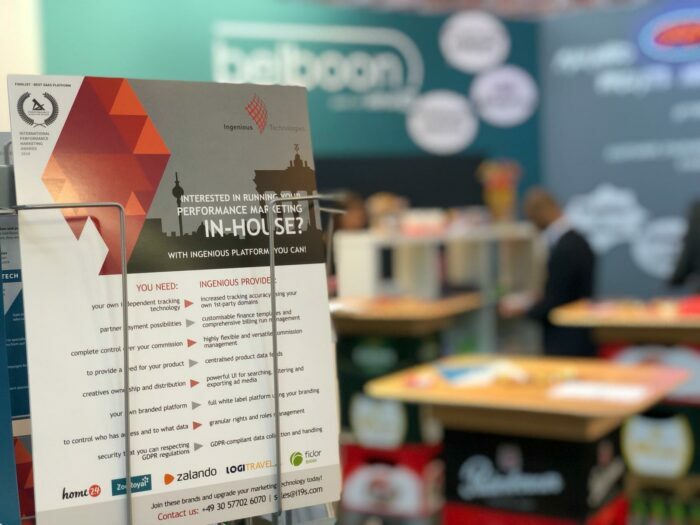 The choice of sharing the booth with Belboon came following the strong collaboration that our two companies have built since last year: Belboon decided to migrate its entire affiliate business to the ingenious platform. Belboon and Ingenious have a joint managed service for customers looking to grow their private affiliate network. 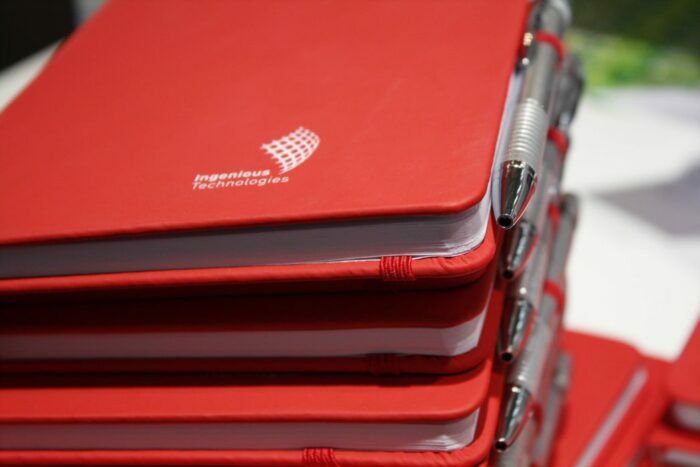 Our team of 11 had the pleasure of meeting many existing and potential clients from all over the world, eager to know more about what Ingenious can offer them in the future. We discussed with them about the many possibilities the Ingenious platform offers and how we can build a strong relationship together. 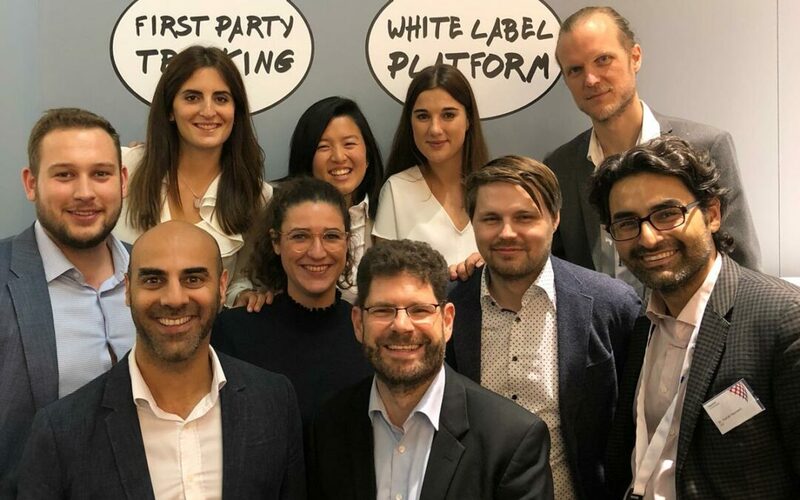 Many visitors were particularly interested in our first party tracking, but also the possibility of managing their own white label private network. 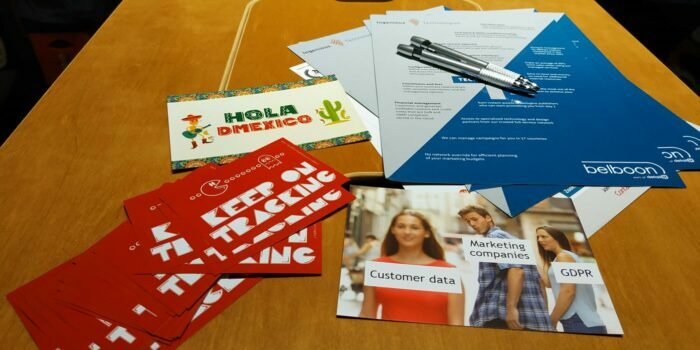 Did you get the chance to have a look at our postcards? 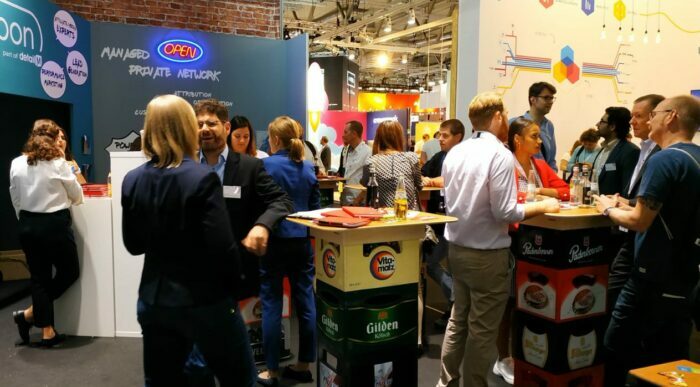 Many of the visitors shared a laugh with us about the common mispronunciation of DEMEX(i)CO. As a reminder, DMEXCO stands for Digital Marketing Exposition and Conference. To be GDPR compliant or not to be? One of the biggest topics of the year was of course GDPR and the future of online tracking. This is something that Ingenious takes extremely seriously: with our technology, you can track all your online marketing activities in a GDPR-compliant way. Ingenious is also on top of new developments in relation to online privacy, such as the forthcoming implementation of Intelligent Tracking Prevention (ITP) 2.0 by Apple (if you want to learn more about it you can read our article about it here). All together this DMEXCO provided a wealth of opportunities to meet potential partners, learn about their performance marketing and tracking needs, and of course to go out and party! We cannot wait to see what next year’s DMEXCO holds, but one thing is certain: Ingenious will definitely be a part of it!